macaroni & cheese: First Craft of the Season: Hexie Pincushion/Caddy, for me! 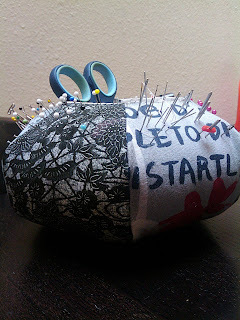 I needed a new pincushion, and I found this the other day while searching for gift ideas. This thing ROCKS!! 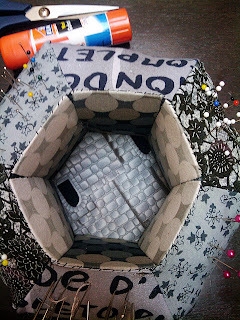 I made mine with woven cotton scraps, card board from food boxes, poly stuffing, Elmer's glue stick, and lots of hand sewing. It's very big! That's one of those gigantic glue sticks back there. 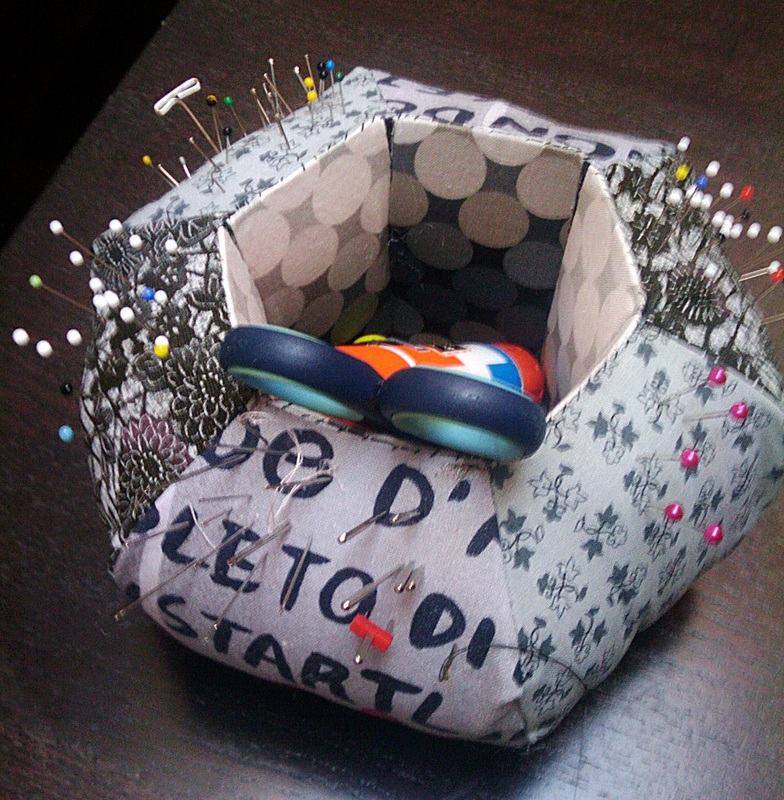 I threw away my old pincushion and moved in right away. :) I love this thing!! Here's the tutorial! Penny's Hands. You will have to read her tutorial for any of this to make sense, but if her's seems to hard, I may have simplified it here, for you. However, I had a lot of trouble with her instructions. It's not written the way I learn best, and in case someone else learns the way I do, here's my translation!! The result is definitely worth the effort, and I'll surely make more. Wouldn't these be lovely gifts for those who sew? 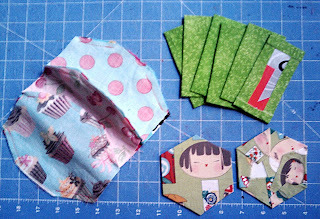 I made two templates: one for the fabric, 1/4" bigger all around the than the elongated hexagon Penny gives instructions for on her blog, and one for the internal caddy walls 3"x5". 6- elongated hexagons (use your template) for the outside pincushion walls. 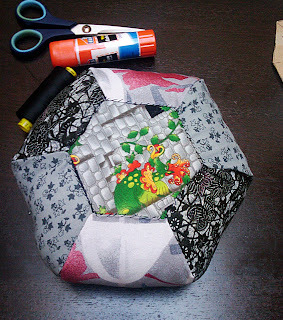 First, pin all the elongated hexagons together at sides. I did three at a time, like this. 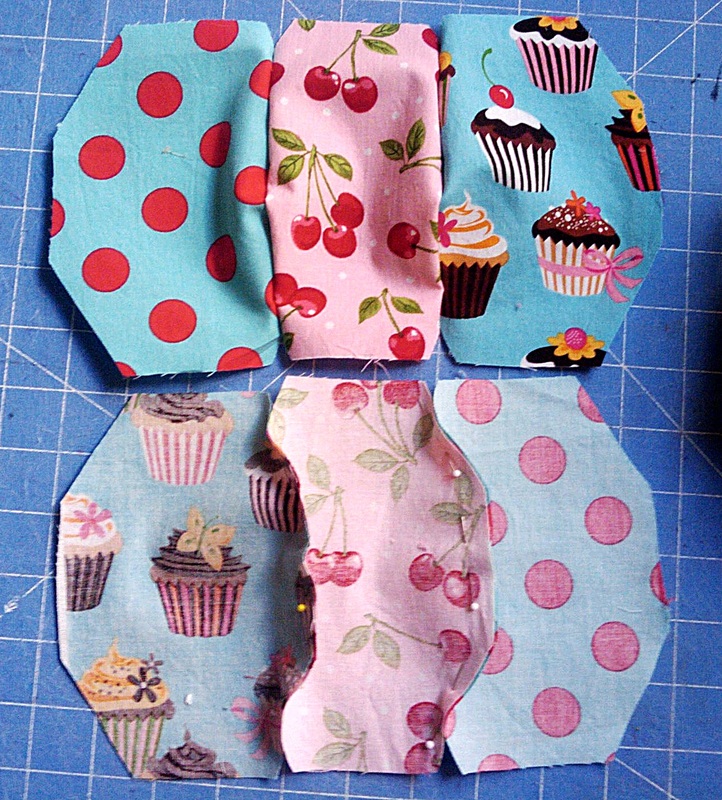 Then, I pinned the two sets of three right sides together, but left an opening on the middle side at each end. This is what I mean. 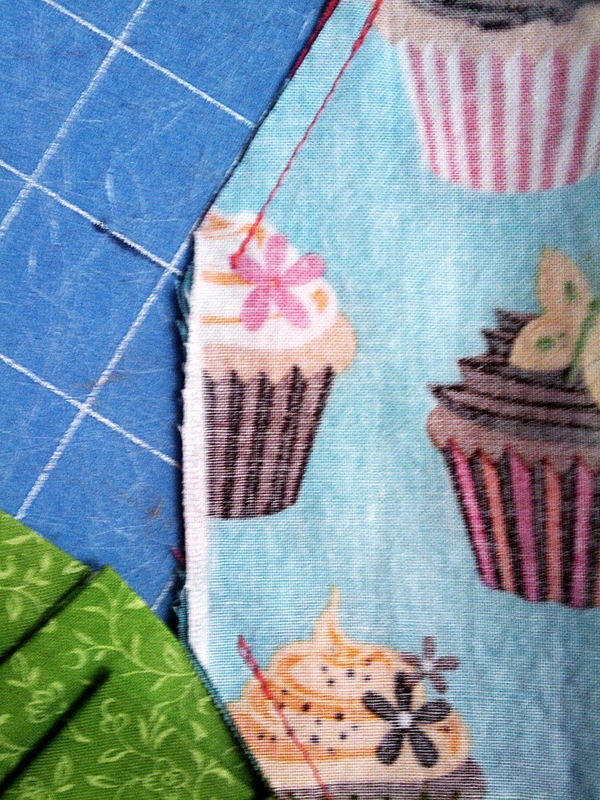 I won't sew between these horizontal pins, because that's where the stuffing will go. So, I sew all the sides together, glue all the fabrics onto their cardboards and paper. See the opening I left here? this is pretty important, in case you think I'm being a bit nutters by going back to it so often. 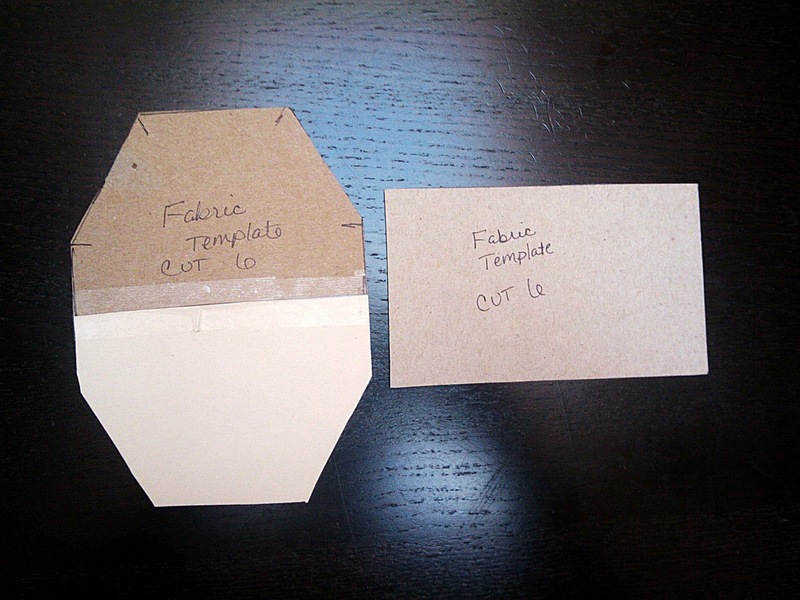 Here are my steps for assembly, or continue from here with Penny's steps. 6. sew the bottoms of the elongated fabric rectangles to the bottom of the rectangles/caddy, folding seam allowances in. 7. stuff with poly stuffing, sew the openings closed. 8. glue cardboard hexagon to inside bottom of the caddy. Enjoy!! In Penny's tutorial, she suggests using english paper piecing technique but I wasn't into it, and just skipped all of that and machine sewed the big sides together. 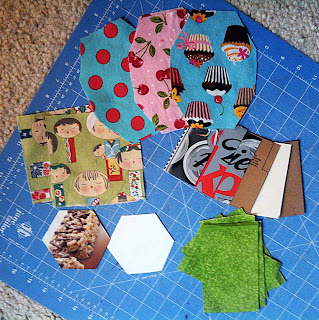 I did not sew any paper to any fabric. 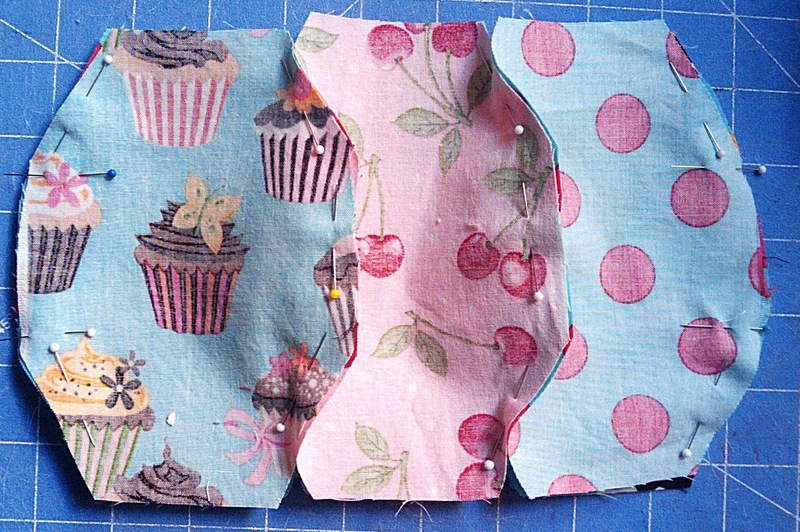 If paper had to stick to fabric, I glued it. You will still have to hand sew all the rest of it, tho. Good luck with yours! Penny's got a fab idea with this, and I hope you like yours as much as I like mine! these are fantastic. I'm not so great with putting shapes together, but I may sit quietly and try to figure it out. So awesome! Thanks again for such an awesome idea! THanks for checking out those I spy bags. 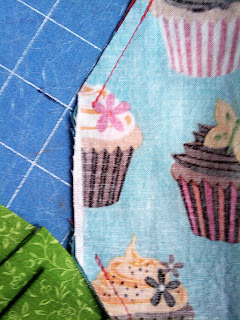 I just used a machine blanket stitch. 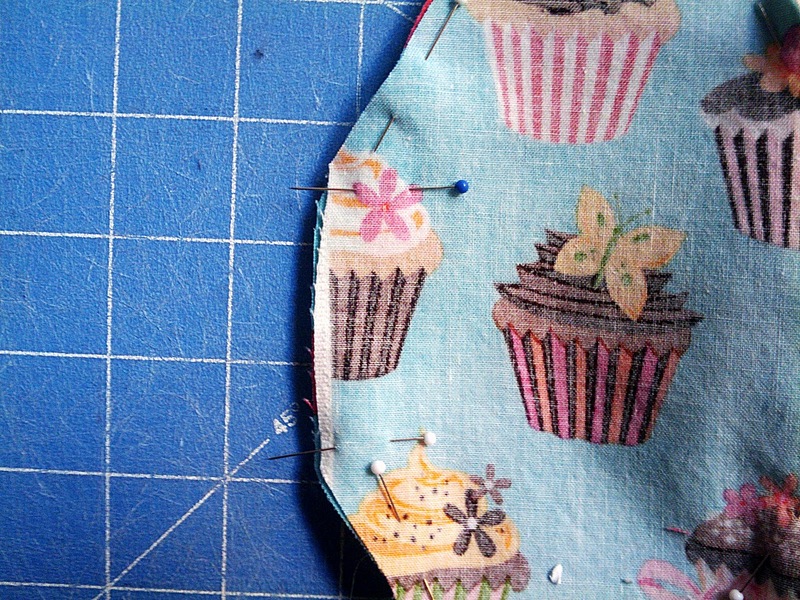 You could use just about any stitch, just make sure to keep your presser foot on the fabric and not on the vinyl because it will stick unless you have a vinyl foot. Please stop by and grab a button!